Change the way people perceive you. Everyone wants to become more successful in personal, professional and social life but most people do not understand the basics of success. Success is about two things happening simultaneously. Getting a chance, an opportunity to do something and then performing when the opportunity comes along. While the first depends on creating a powerful first impression, the second is dependent on education, experience and soft skills. In today’s world, most people have education and experience, so soft skills become the deciding factor in performing well when opportunity comes knocking. Image management is about developing your inner strengths and at the same time reflecting them on the outside through appearance. Creating a powerful first impression is essential to get more opportunities in life. We all carry certain skills, ability and experience but people often perceive us only by what meets the eye. Prathistha Jain is a certified Image consultant by Image Consulting Business Institute, Conselle University of Image Management (USA). She is a creative, experimental and strong willed individual by nature and takes an approach of finding creative solutions to solve a certain predicament. As an Image consultant, she assists individuals in raising their Image quotient through Clothing & Grooming, Verbal and Non-Verbal Communication, Etiquette & Body Language. She provides solutions that can immediately be applied in professional, social & personal life. 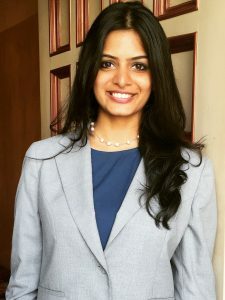 Prathistha is currently involved in individual consultations and conducts training sessions for corporate clients, students, professors, young and aspiring entrepreneurs on topics such as body language, etiquette, power presentation and power dressing. She is also a regular co-speaker at Entrepreneurship conferences around India and Malaysia. Individual consulting is a personal one -on -one coaching of approximately 25 hours given to individuals over a period of 2-4 months. A comprehensive consulting package consists of the several clinics / sessions. Combined and group sessions for corporates, clubs, associations, forums and business professionals on topics related to Image managements and soft skills training. The sessions vary from 2 hours session to 3 days workshop on specific or multiple topics. Use the form on the left or send us a quick email to info@vibazone.com. We will get back to you with responses to your query and provide more contact details for continuing the discussion with the relevant consultant(s). Before finding a solution to any problem, it is important to identify the problem. Image scope includes a need analysis by understanding the current status of the individual in terms of Image management and then identifying the areas to work upon. In today’s competitive professional world, it is essential to look the part. Many a times even the most deserving candidates do not get a managerial promotion as they do not look like a manager. Looking the role, you play or going to play is one of the most important skills. Appropriate dressing is all about understanding the messages that messages that need to be sent keeping in mind your roles, goals and occasions. This session guides a client through effective use of the International style scale to understand the language of clothes. Looking attractive is a basic human need. What most people don’t understand is it is not about what you wear but about what you wear. Understanding your body shape and then countering and repeating techniques to manage body variations is what makes one look attractive. This session includes body shapes evaluation and suggestions on dressing as per the same to present the best you. Colours play a crucial role in looking attractive. For one to be in colour harmony you must first understand your personal colours of skin, eyes and hair and then the fashion colours that will accentuate your personality. This session includes personal colour evaluation and then recommendations on fashion colour combination to be in colour harmony. Samples of colour combinations will also be provided. Accessories selections will also be suggested. While it is important to be appropriate to your roles and goals, it is also equally important to project an Image that is the real you and not a version of someone else. 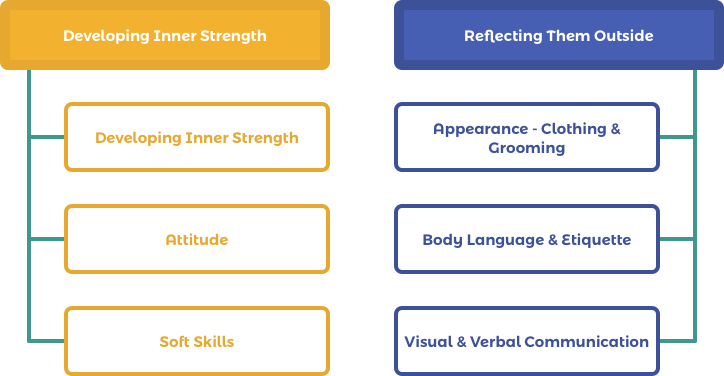 Each individual has a personal style based on their values and traits. However, it is an involved process to identify the same. This Session includes personal style evaluation and then recommendations on presenting an Image which is authentic. All of us have wardrobe “orphans” – clothes that we buy but never wear because they do not work for us. 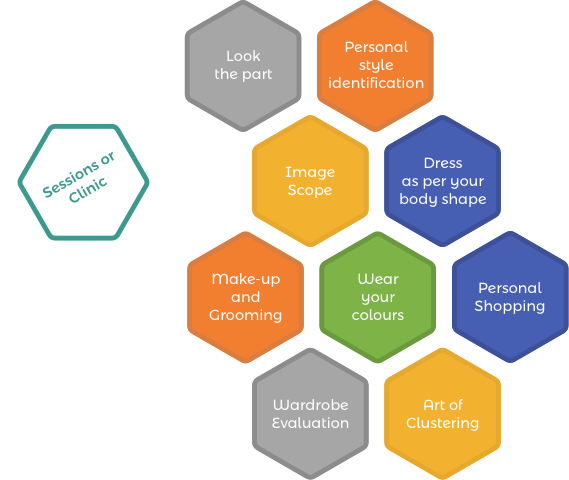 This session includes evaluation of your wardrobe to understand what works and what doesn’t work for you and why. Based on the wardrobe evaluation, the consultants advise on what needs to be discarded, and what needs to be added to your wardrobe which will widen your wardrobe. The concept of clustering is used to here to get more variety with lesser expenses. A shopping list is then created which is just right for you. A smart shopping experience which guides a client on what is right for him or her. The consultant accompanies the client after a pre-shopping analysis and takes the client to the right places which sell what the client needs. This avoids impulse shopping and future wardrobe orphans. This session includes personal grooming, skin care, hygiene and corrective make up as per your face shape. Image makers and breakers are covered and tips on makeup shopping including information on latest brands will be provided. Note : Choice of the clinics and duration would depend on the requirement of individual client. Right outfit for the right business occasion. It could be customer meetings, presentation to investors or in seminars. Dressing up and down the power scale. Appropriate looks for social, professional and networking situations. Understanding clothing requirements while you visit foreign countries or have customers from foreign countries visit your office. Four levels of dressing and clothing communication would enhance the self-esteem and self-confidence. The art of dressing as per the body shape would result in attractive appearance. Attractive appearance means – ‘looking at you is a pleasant experience; nothing about your appearance is disturbing’. With a harmonious and coordinated look, one appears in control, confident and competent to handle the situation. International etiquette, Mobile etiquettes, E-mail etiquettes, Networking etiquette, Travel etiquette, meeting etiquette. Dining Etiquette could also be added as an extra session under this topic. Importance and impact of body language on people. Read the meaning of certain gestures, movements and tone. Para linguistics: The aspects of spoken communication that do not involve words. These may add emphasis or shades of meaning to what people say. Art of Mirroring: Reflecting an appropriate behaviour that would best suit the situation.